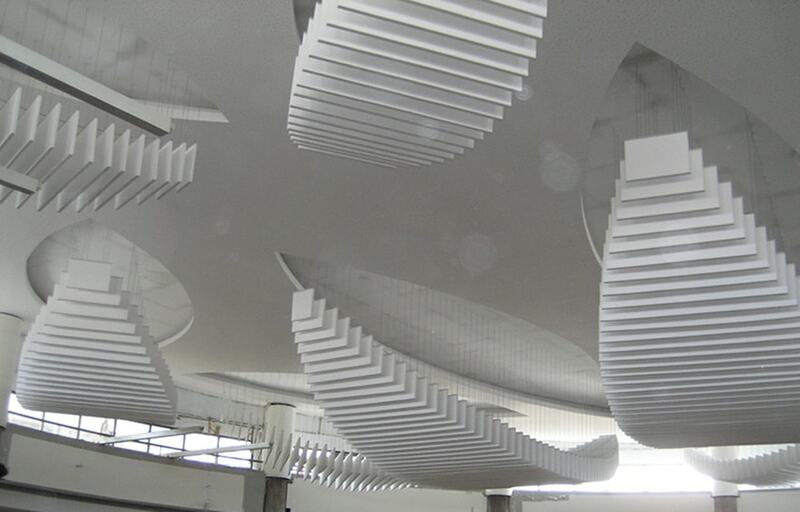 Highly efficient at reducing undesirable noise and sound reflection and general loudness in all kinds of interiors and designed with clean lines to suit today’s functional minimalism, our STANDARD, EX STOCK* noise reduction range consists of lightweight acoustic absorbing panels. 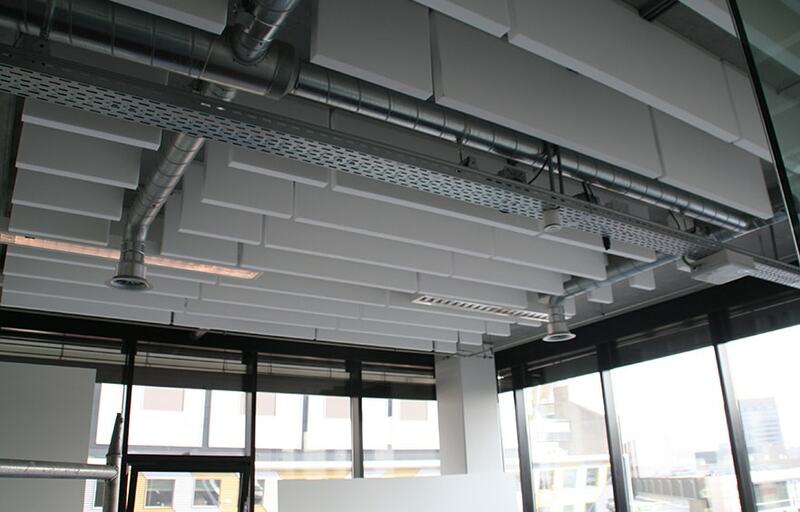 These are adherable via common construction adhesives in white, pale grey and black coated and lightweight acoustic absorption panels and baffles, with simple options for suspension from light gauge cable in white or pale grey. • Educational: Learning, activity, common areas, auditoriums and lecture halls in schools, colleges and universities. Childcare facilities. • Community: Church and community halls and reception areas, retirement village chapels, dining and activity areas, airports and travel hubs. • Entertainment: Restaurants, cafes, bars, clubs, art galleries, display and exhibition venues. • Commercial: Open plan office floors and call centres, offices, meeting and video conference rooms, kitchen/meals areas and reception areas. • Sport and leisure: Indoor swimming and leisure facilities, sports halls and stadiums, dance and aerobic studios. • Healthcare: Waiting rooms, surgeries, hospital dining, education, research and laboratory interiors. • Residential: Open plan living areas and AV rooms. Apple Stores Sydney-wide and nationally, RMIT Melbourne, Anglican Retirement Villages NSW, Holmesglen TAFE Vic, Kinghorn Cancer Centre Sydney, NSW Department of Corrective Services. 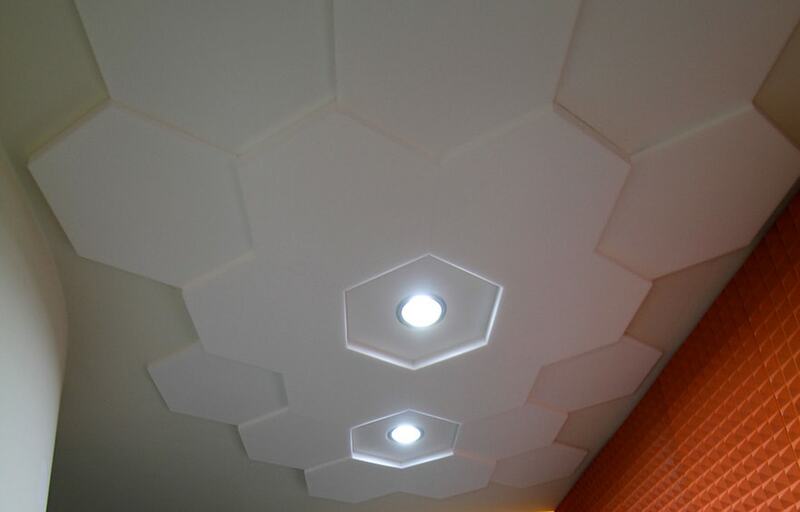 • High performance noise reduction and sound absorbency. • Suitability for green star projects. 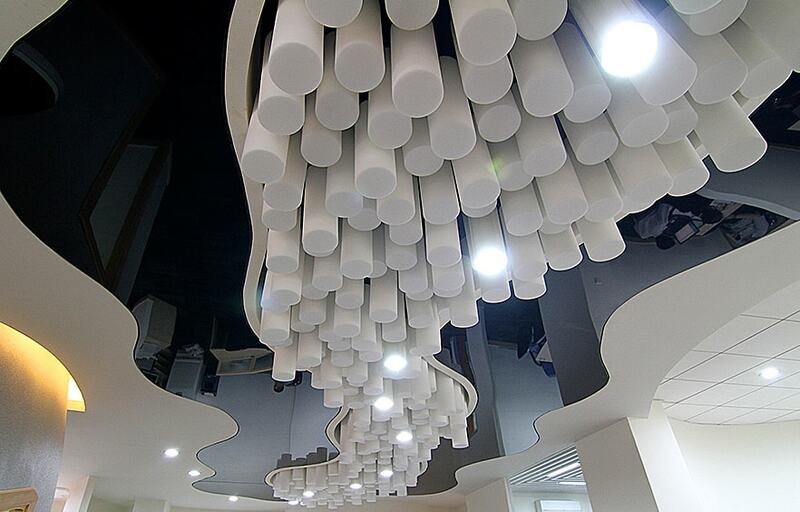 Our sound absorbency products are simple, clean and rapidly installed. For those on a budget they are very suitable for DIY. There are no special health, safety or OHS issues or handling requirements for our acoustic absorbency products. 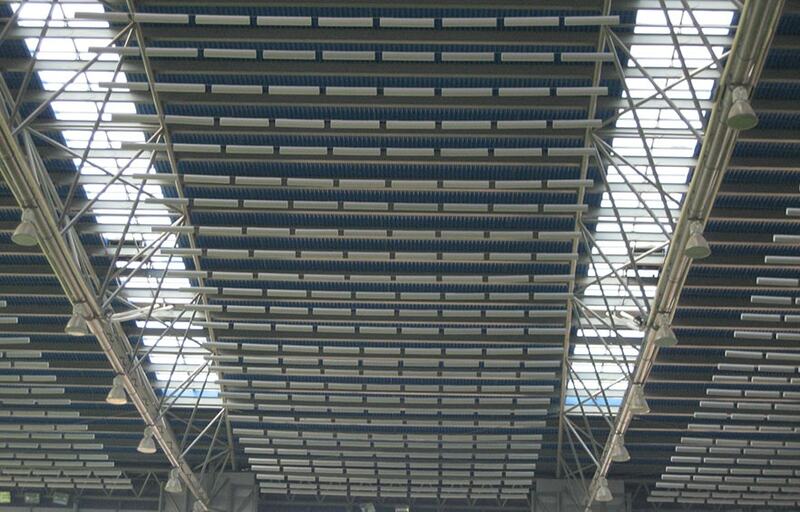 Our acoustic absorbing panels and baffles do not “shed” and do not require encapsulation. 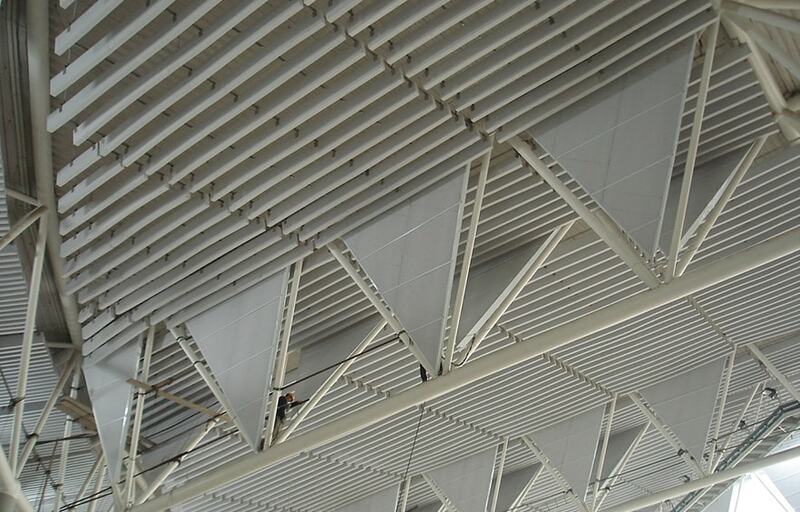 There is no residual smell or debris during installation of our sound absorbing panels and baffles. **Subject to minimum order quantities and extended lead times.